Derek Franco photography knows that your wedding is a once in a lifetime event and will guide you through the entire photography process. We will help you with choosing the wedding package that best suits your need to designing a custom keepsake album to remember your special day. We are professionally trained and unobtrusive with a creative, artistic and journalistic style that will allow us to capture all the moments of your wedding day. 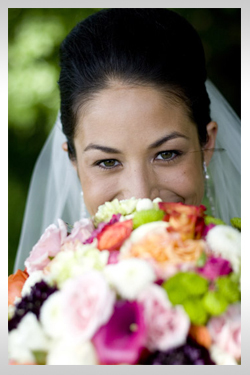 We travel all over New England and are available for destination weddings. I believe a wedding is the celebration of two families coming together through the intersection of two people truly meant for each other. There are many moments throughout this day that will tell the story of this joyous occasion. I am dedicated to capturing these moments that will be looked at for generations, images being passed down from the bride and groom to their children, to their grandchildren and so on. I am always striving to capture the decisive moment without interfering or influencing the images. The split second moment that shows the unique expressions, mannerisms and character or character's of the day. Pressing the shutter button at just the right moment will capture these images that tell the day's story to anyone who views them. I have always been a creative, inquisitive and artistic person for as long as I can remember and I inspire to bring happiness to others. There are not many feelings better than a person looking at one of my images and seeing the joy and emotion in their face.